Welcome to the NEW Worldbuilding Section! Posts not yet approved are marked with a thumbs down symbol. Posts that have been approved are marked with a thumbs up symbol. Worldbuilds that have yet to be approved exist in name only. That is, you can have a character from there, and they can say they're from there, but there can't be any plots or story relevance for the place. This is not a definitive list of rules. In the end, the WB staff are here to tell you "Yeah, that works." or "No, that doesn't work, change it or convince me otherwise." You have mostly free reign. Are you interested in building up the world your characters interact in? More specifically; do you have an idea for a business or corporation that exists on Remnant? A place of ruins on the outskirts of Forever Fall? A locale outside of the four Kingdoms? A landmark to discover, or one that is a remnant of the past for those to find their way home? Along with a plethora of other ideas that may come to mind-- this section is for covering the creativity of developing Remnant beyond what the show supplies us! I. Worldbuilding Projects may not be Kingdoms, and may not surpass the power or size of a Kingdom. While we like to give everyone unrestricted access to create sprawling utopia's free of Grimm, it would be trumped and run into developing issues as new ideas are presented by the show over time. We are considered a fanon-level site, which means we still have respect to the canon of the show, but add additional explanations and features that may or may not be apparent for role playing reasons. Your Worldbuild project will not annex a Kingdom for itself, take over a canon Kingdom and reign over them, have an army or size vastly superior to a canon Kingdom stamp them off the map. On the same hand, Kingdoms have plenty of means of staying on the front-end of technology, and are economically well off to be considered the superpowers of Remnant. These areas have withstood the test of time in canon, so to trump them would just serve as a future disservice to the show or any developments that may happen with them. Remnant is very, very big. There is plenty of landmass to develop your Worldbuilding location on-- so much that we do not need any created space to accommodate new locales for the time being. Utilize the space we have now. The moderation team holds authority on the development of landmass in the future, if there is not enough space to accommodate projects. III. No micromanagement or macro-management playing. After much deliberation of the systems involved with Worldbuilding in regards to population size, military size, Lien values, and other numerical values that may require a system to promote balance, we have decided to take a stance that numerical values should be kept as vague as possible when it comes to describing certain aspects of your locale. We also are taking this stance early to address the potential of a powercreep between Worldbuilding locations, as newer creations will always have an upper hand versus older locales in terms of developing higher and higher population, military, and economical caps. An acceptable example: The population of Vale is considered to be in the millions, per a recent census report. Millions is intentionally vague for a role-play aspect and perfectly acceptable for a description-- considering population shifts and migration to new locales, plus any other deep thinking some users can muster up, a vague term allows us some floating room in terms of specifics. A not acceptable example: The population of Vale is 2.8 million. 2.8 million is incredibly direct, and now forces you plus everyone else to keep track of population size when it comes to say a baby boom era, or catastrophic event. This now places an unnecessary system on those involved, and adds more chaos when a new locale is created with more population, and you want to now match this new numerical threat to your zone. IV. Worldbuilding location threads need to be posted in the correct continent sub-forum, when acceptable, and must be tagged appropriately. Pretty self explanatory: if you make a location in Vale, your threads must be posted in the Vale sub-forum. If you make a location on the Vale continent, your threads must be posted in the Vale sub-forum with a tag denoting it belongs to your Worldbuild; like "Mr. Port's Wild Ride [Vale]". The availability of sub-forums for Worldbuild projects is not guaranteed for everyone; moderation reserves the right to designate a sub-forum as they see fit. Do not request a sub-forum. V. You must have the creators permission to utilize a Worldbuilding creation, unless stated it is free use in the created content. Common courtesy here; someone poured a lot of effort into hatching an idea, putting it to text, and going through the approval process to have something come to fruition. You should ask the creator of an area if it is okay to create a character from it, or use it's location in a thread either for setting or as a mention, to make sure you don't do anything that may contradict the created zone. VI. Before you get to work on your project, PM a Moderator at some point and let them know of your intentions. Make a note in your submission of the Moderator you contacted at the top. This is a very important guideline and rule. In the past, there have been attempts to have people contact a moderator before creating something. It wasn't strictly enforced, and led to a lot of overlay and conflicts in terms of creations and placement. In the weeks leading to Reboot, we've gotten the impression to expect a few re-submissions and whole lot of new submissions. This rule will now be strictly enforced the day Reboot goes live and until further notice. Our policy is one unique Moderator contact per submission-- example, you are submitting a Vale location and a Worldbuilding location, you must contact two separate Moderators. Worldbuilding Locations -- you must contact either someone on the Worldbuilding team -or- you must contact someone in charge of that Kingdom with an intention of creating a locale. This allows everyone the team to know of something to expect, and information can be relayed ahead of time if there is any conflict of interest with the submission, a plot or plan in progress with the intended area, or the go ahead to post the submission to the sub-forum. It is up to the moderators digression to provide assistance, review, or offer suggestions to a project -- do NOT expect all moderators to walk you through the creation process! Failure to make contact with a Moderator may result in the denial of the Worldbuild creation indefinitely. Before you begin, make sure you have a clear idea of what you want out of your project. 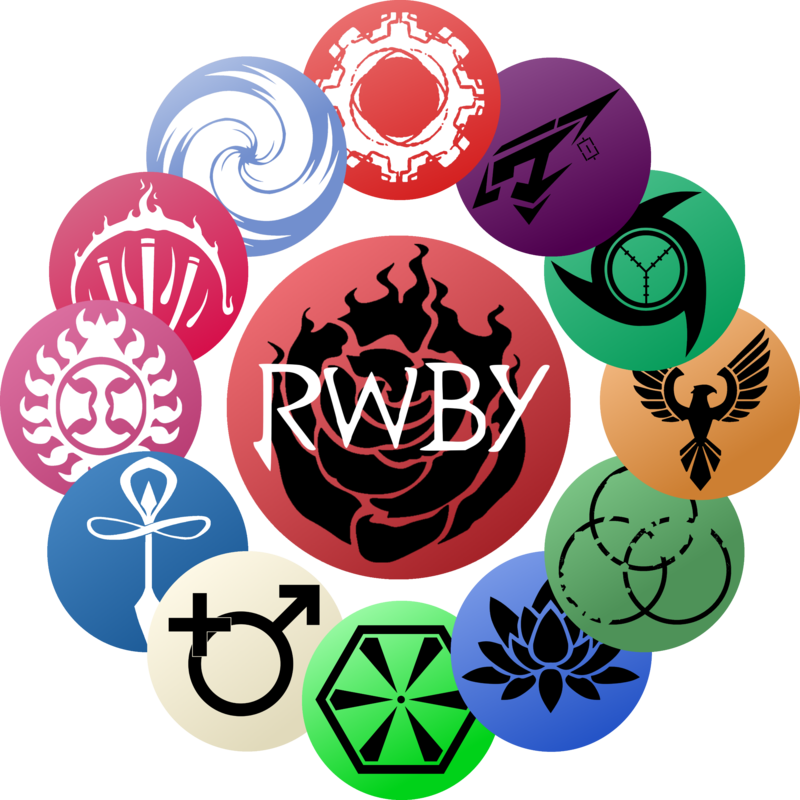 The Worldbuilding section exists to extend and breath life into the setting of RWBY as a way of creating a believable, bustling Kingdom through the creations of businesses, parks, stores, and corporations-- to the areas far beyond the borders of Vale, where other stories untold by the surface of the show exist to be explored. While there is nothing wrong with creating something for yourself, keep in mind that there is an expectation for your creation to interact with it's surroundings. This is Worldbuilding after all; you are adding something to the world that everyone here interacts with everyday. If you feel like your project is in benefit for only yourself-- for example: creating a location to have your own 'exotic' character attending Beacon, creating a large conglomerate in your characters family name for an affluent background, creating a business that only your character seems to know of it's existence-- please reconsider going back to the drawing board, or collaborating with an existing or new project to explore your needs. With that out of the way-- the second expectation of you: "How?" Ask yourself this all the time; 'how did this business come together? ', 'how long has this team of Hunter-turned-lawyer been together? ', 'how did the origins of my area start? ', 'how did my Worldbuild reach this level of technology?'. Your submissions will probably be asked a plethora of questions over it's existence, so having answers either available in description or ready to go as the questions come will be immensely helpful in making a believable culture and existence on Remnant. On the subject of details: detail! We love detail here! We really love very important details! While images and charts are wonderful, visual creations that can say a thousand words-- we rather you take the time and effort of spelling everything out for us! This IS a role-playing site after all! Your creation must be able to clearly and coherently express an idea, thought, concept, culture, locale in text! Anything that can describe your culture, business, building-- we want to know it! Do your people only eat certain dishes? Are the employees treated fairly? Is the bar doubling as a smuggling site? How has your culture survived as long as it has? To give an analogy-- think of your project as an iceberg! On the surface, things may look small, but below the surface is miles of ice reaching into the oceans, vastly bigger than it's outward appearance! Your Worldbuilding project must be approved first before the submission of your character. Your project must now contain a 'Character Creation' post that details things like features and traits that make this character different from those that would come from one of the four Kingdoms-- you may use what you need from the Character Creation template for creating a sheet, and you must have some kind of guide to the creation process. This is where details such as naming schemes, areas of influence, or physical features should be mentioned (or mentioned again) so the Worldbuilding team has a clear idea of what the populace looks like. This section should also provide enough information to the Character Approval team for accepting future characters from this region. Your Worldbuilding project must be approved first before the usage of technology in any form or mention of roleplay. Your project must have a detailed 'Technology' guide that explains things like 'how? ', 'why? ', and 'what?' the technology is-- if you write this as exclusive to your Worldbuild, you -must- have a very convincing argument on how the four Kingdoms are unable to obtain or simply replicate the technology available to you. We are pretty much in the age of 'MechWarrior' in the show; means of acquiring or staying on the front of technology seem to be readily accessible to everyone on Remnant through either contracts, trade, or a spread of knowledge. Detailed guides help the Worldbuilding team understand and gain knowledge how your technology came to exist and operates on Remnant. This guide will also provide enough information in case the Character Approval team must check with a project for a character using this technology. This character now requires three approvals; the typical two-person approval from the Character Creation staff, plus your approval as author of the Worldbuild. In your approval, if changes need to be made or you have questions of a change request from someone on Character Creation staff, please make sure your requests are detailed in your posts on the characters page so there is a reference for future submissions. While it is immensely easy to contact some members over mediums like IRC, Steam, and Skype to discuss changes and expectations, there is a level of detail that is also required by the Character Creation staff in order to have an understanding of your project. Having a paper trail of these discussions will allow more accurate ideals for these characters and faster approvals in the future due to having some references. And last but not least, activity and presentation. This is an outside influence in our decision-- you are given a lot of responsibility when your Worldbuild is approved, which is why things may come across as being critical or daunting when it comes to this section. Characters are much simpler in process to write out or have fade away in the event of a disappearance or abandonment. Worldbuilding is not. That's why at times we may become choosy on what gets approved-- we have factors to consider such as quality level or writing, level of activity on the site itself, or the ability to reach you in the event of questions needed. If you are quite new to the site, you may be able to get a few locales created for Kingdoms, but Worldbuilding an empire in the frigid Atlas tundra might be out of the question until you've gained some staying power. Are you are known to erratically disappear, or have some chain-of-command we need to go through to make contact with you? We might be hesitant in allowing your creations to exist if we are going to have to clean up your toys in a few weeks after your stay. We are holding the expectation that you and the creations you make will be maintained and active in some way after it's approval; abandoning projects may lead to us assigning someone else to the location, or re-purposing ideas left to us in a way of salvaging what you are leaving behind.